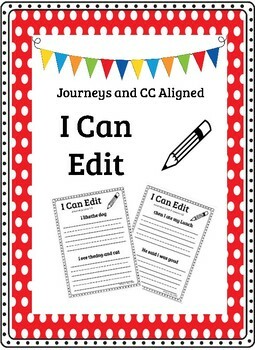 I Can Edit is DOL sentences that are Journeys aligned by units and lessons. 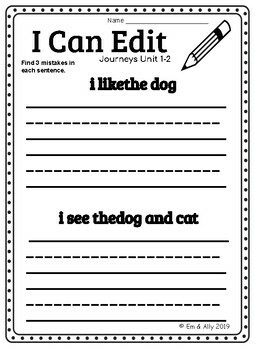 Each page includes two sentences, some lessons have two pages that can be run front to back. They have three mistakes in every sentence. 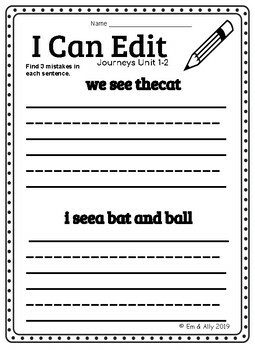 Great for small or large group, or as homework too!